Find out what is new and exciting in the fire protection engineering industry! Click on any of the individual news postings to find out more. If you have any any newsworthy information that might be of interest to our members including promotions, retirements, transfers, change of employment, articles that you have come across, we encourage you to send it to us. Forward your story to president@sfpesoc.com for consideration. BETHESDA, Maryland -- SFPE has officially changed its logo and tagline to convey a more contemporary, bold and global image while maintaining the iconic triangle. 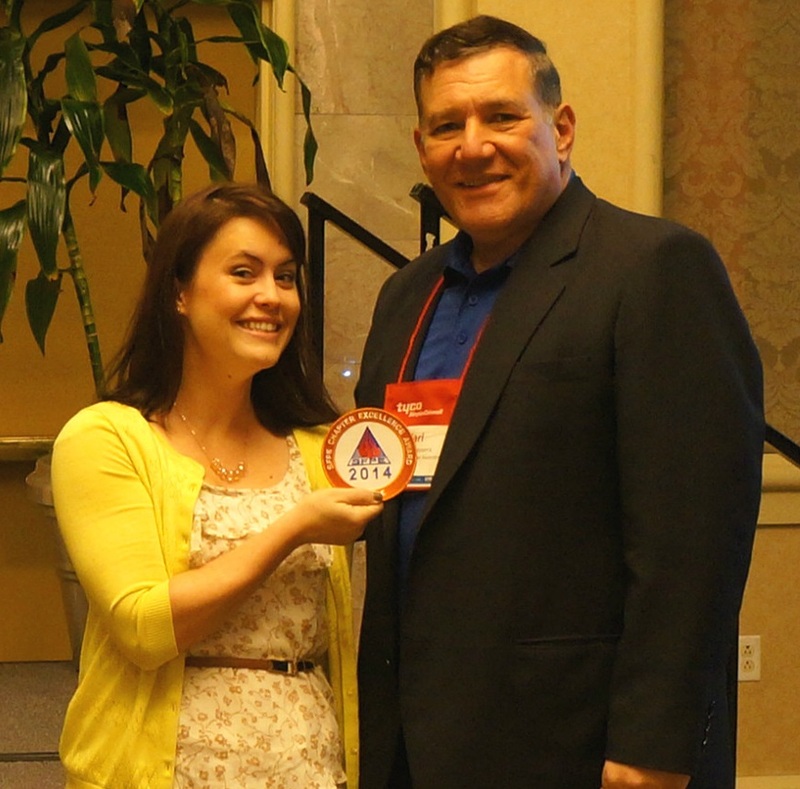 The logo represents the new brand as it continues to attract and bring together the community of fire protection and fire safety engineers, and its allied stakeholders, around the world. Similarly, the new tagline, Engineering A Fire Safe World, was selected as it communicates a broadening of SFPE's base worldwide, while still maintaining the emphasis on engineering. "We are excited to launch a new logo and tagline that reflects the evolution and future of the SFPE global brand," said Carl Baldassarra, SFPE President. "The SFPE Board of Directors has spent the better part of 2014 reviewing our strategic direction and plans for the future. Rebranding with a stronger image and more inclusive messaging was needed if we are to better serve the global community and attract the next generation into the profession." The new logo and tagline were unveiled at SFPE's Conference & Expo in Long Beach, California on October 12. 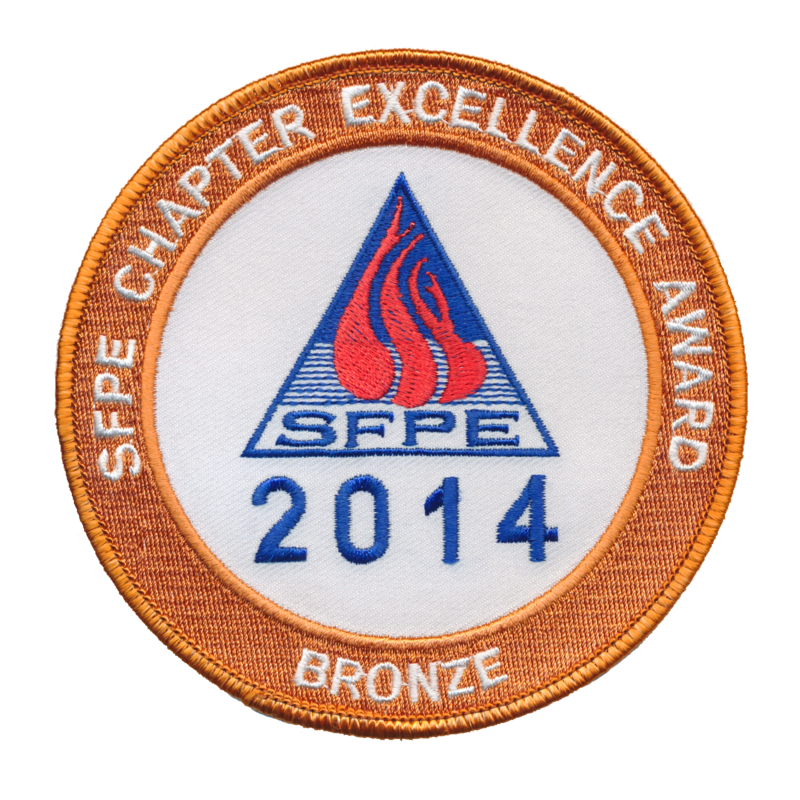 New logos have also been created for all of SFPE's chapters, Corporate 100 and SFPE Foundation. The Southern Ontario Chapter is excited to begin phasing out use of the old logo as we implement the new brand and logo. 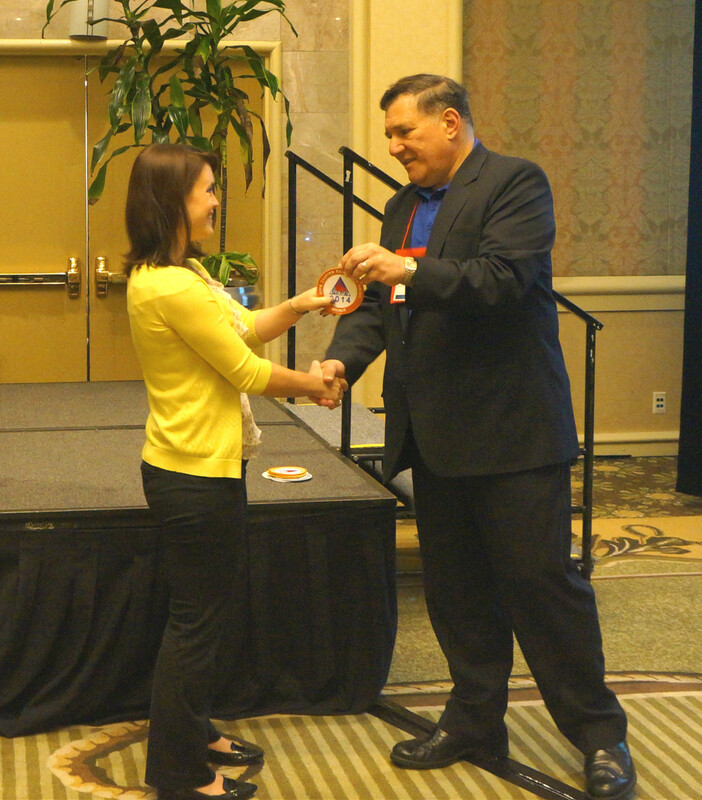 Melinda Amador attended the 2014 SFPE Conference and Expo, including the SFPE International Business Meeting, held in Long Beach from October 12-17, 2014 to represent our Chapter. We are pleased to announce that the Southern Ontario Chapter was the recipient of a Chapter of Excellence Award, and Melinda was on-hand to receive the award on behalf of the Chapter. This is the first award for our Chapter and recognizes the efforts of our dedicated Executive Committee and the continued support and contributions from our members. Thank you to everyone for their support! Attention Members! For your information we have attached a letter from the Fire Marshal and Chief, Emergency Management that has been prepared to remind owners and operators of vulnerable occupancies about the upcoming compliance deadlines for applicable Fire Code requirements. Please distribute this information to your colleagues. On June 5th, 2014 we had the pleasure of hosting our 17th Annual Charity Golf Tournament in support of The Children's Wish Foundation. The event was held for the fourth year running at Cardinal golf course who put on another spectacular event. Though the weather was cool, it stayed dry, and the wind may have even helped push a few balls closer to the hole, or further in to the trees, depending on who was hitting. Our hole sponsors really came through for us, right down to the last minute, and I want to personally thank each and every one of you for stepping up to support this event. Thanks to their generous donations, as well as the Hummer cart raffle (which seemed to be helped along by the presence of a bottle of Scotch) we were able to raise $3700.00 for The Children's Wish Foundation! I know that Ethan and his family, along with everyone at the Children's Wish Foundation sincerely appreciate the contributions that each of you have made. And we at The Society of Fire Protection Engineers - Southern Ontario Chapter, would like to thank each participant, hole sponsor, volunteer, and prize donor for continuing to support us in this event. Attached is a Thank You letter on behalf of Children's Wish. We can't wait to see all of you again next year! Registration Opens for our 17th Annual Charity Golf Tournament! It's that time of year again! Registration for our 17th Annual Charity Golf Tournament is now open! Please join us on Thursday, June 5th, 2014 for a great day of golf, food and friendship in support of The Children’s Wish Foundation. Once again, we will be returning to the beautiful and challenging Cardinal Golf Club in Newmarket. $200 for individual registration - OR - save $100 for a foursome! $250 for a hole sponsorship - OR - save $50 with a foursome registration! Visit our golf page for more information. SFPE members are invited to attend Canadian Automatic Sprinkler Association's upcoming Fire Sprinkler Educational Seminars that will be taking place in Toronto, ON—Tuesday May 26th thru 28th—and in Ottawa, ON—Tuesday May 29th & 30th. All seminar attendee’s will receive a free workbook, continental breakfast, and morning and afternoon coffee break. For more information and to view all of CASA's Seminar Topics and Locations across Canada please visit our website at http://www.casa-firesprinkler.org/news-events/live-technical-seminars. Please feel free to pass this information on to any of your colleagues who may be interested in attending the seminars. There are hundreds of types of sprinklers in use today. Determining where to locate them can be a complex task. They need to be spaced properly and installed in specific locations to ensure coverage of the protected area and located far enough away from obstructions to ensure that the spray pattern can adequately develop and control or suppress a fire. The rules that govern this complex matrix of decisions are found in Chapter 8 of NFPA 13 on Installation Requirements. This fast paced and interactive seminar will guide the participant through series of decisions and requirements that lead to compliance with NFPA 13 and ensure the system will operate properly when needed. This seminar will cover the acceptance test requirements for new fire sprinkler systems, underground fire mains, and fire pumps. It will also address the situations where equipment in existing systems is repaired or replaced. Next, the program will cover basic hydraulics. The program will conclude with a look at the standardized forms that NFPA 13 uses for computer generated hydraulic calculations and how to review these forms for the important information necessary for plan review. Utilizing NFPA 20, Standard for the Installation of Stationary Pumps for Fire Protection this one-day program guides the participant through the basic operating principles of fire pumps; the requirements for the various components that make up a fire pump package and addresses the requirements for acceptance testing for the pump to ensure proper operation. Media sources revealed last week that an Internet security vulnerability known as the 'Heartbleed bug' has potentially put two thirds of secure websites at risk. This bug has to do with OpenSSL software code that protects the privacy of sensitive details (e.g. passwords) when accessing secure websites. Your passwords and information are safe and secure through our website. On March 18th, 2014, The Canadian Wood Council will be hosting a one-day technical workshop in Toronto on Fire Performance in Wood Buildings. For more information, please see the Canadian Wood Council's event posting. $330 Raised for the Thomas Chiang Memorial Award!! We’d like to thank our membership for their continued support and voluntary contributions towards our annual Thomas Chiang Memorial Award. To kick-start our 2013/14 campaign, attendees at our December meeting donated $165 towards the award this season. Your donations are appreciated! The donation will be matched by the Chapter to raise the total contribution to $330!! In May, deserving students in our region who are pursuing education in the fields associated with Fire Protection will be presented with the award. Currently, members are able to make a donation when they register for an event online or in person at one of our meetings. Soon, we will also be adding a new feature to our website to allow donations to be made directly to the Award online. Please consider donating to the award to help our Chapter fulfill our mission to support the future of our industry. Ammonia is flammable at higher concentrations, can burn the skin and can be a major liability issue. The Ammonia Safety & Training Institute is setting up safety day events across the country for 2013 focusing on safety and emergency response. For more information, please see ASTI's flyer.